Just wanted to let you know that we love the two Traveler bags that we bought for our multi-adventure trip to The Grand Canyon, Bryce, and Zion. Not only were they perfect for air travel, they also became invaluable as daypacks on some of our hikes. Being able to clip them apart and easily reattach was fantastic. We just unclipped and headed out on the trails. Also with a multitude of compartments, it’s easy to separate items and pull out only what’s needed. On top of all that, they’re gorgeous and have been admired by many. We’ll be using them next month on our trip back to Hatteras. Once again you’ve made excellent quality gear! This looks to be something that should last us for a long time. Screamer 6G 10-meter Limited Edition is a treat! What an amazing kite this Screamer is. I was able to try the Screamer 10-meter a few days ago in Pounda, and what a treat! It is very easy to hold down, very stable, easy to fly and has crazy hang time. It’s a magic kite for sure. It’s my next kite!! Thank you Dimitri for being super easy to deal with, and for your kindness of letting me test it. This day of kiting will remain as my best memory of my holidays. I will contact you to place my order as soon as I can. Screamer 6G 10 mètres édition limitée est un régal! After a bonehead move of landing my Epic 14 and getting it tangled in this tree, then trying with great force to yank it out and then an overnight squall to further rough it up and tangle it. I managed to get Parks and Trees down here first thing to cut it free. Not a single tear or leak and it was freed. It still had the full pressure that it actually blew the cap off the ring when I unscrewed the valve. Look at the background. Doran was nice enough to wear a matching outfit for my tree kite. Anyone want to buy a Cabrinha 12 with bar and lines? Great condition. Never landed in a tree. $400 I just replaced it with an Epic 10. Hello Dimitri, I just wanted to drop a quick note to tell you how much I love the new Renegade 6G kite! Holy moly, it’s incredible! I have the Renegade 11, but also rode a Screamer 9 back to back. What I can say, is that for me, the Renegade sits in the perfect wind window position. I felt like I had to move the Screamer to get it to fall back to where I like it, but the Renegade flies in the mid window so for me it feels more comfortable. I prefer the downward pull of the Renegade to the horizontal of the Screamer. But I’m sure that’s why you make different models - because there is something for everyone. I’ll start with the basics. When I got the kite I noticed the bag was different. I really like it. The internal bar pocket is a nice touch, and it seems to be in a slightly thicker material. Unrolling the kite I noticed that it feels more rigid but not heavier. My first ride has left me wanting more! I can’t get enough of this kite. It turns as fast as the Screamer 9. I know there are different settings, but I didn’t adjust anything. The power, grunt and turning speed is incredible. But what I really like is the way it jumps. It doesn’t tear you off the water - it’s more like a smooth but powerful lift. It puts you down just as easily. It made what was going to be a good day, a pretty amazing day. Smiles ear to ear. Oh, and I was just as excited about the Dimitri Pro control bar. I really like the design, but the cleat system is amazing, and allows me to make super small adjustments if needed. It’s super easy on the hands with the coated centre lines. My fingers became used to the lines rubbing against them, but that’s now a thing of the past. Please keep making this amazing equipment. The most fun I’ve ever had on the water was with your kites! I always look forward to seeing what’s next. From customer who bought the INFINITY 6G. Finally got a chance to try the new kite. 10 knots and a frozen lake but I gotta take you it’s awesome. Very controlable and stable and once you park and ride it pulls through. Not uncontrollably, a nice steady, predictable pull. I had it on the wave bridle setting which was an oversight. I’ll put it on the free ride tomorrow and see the turning speed. The cabrinha overdrive bar worked just fine. The strut setup makes it super light by the way. Really it has just one strut in the middle. Do you have similar kite in smaller sizes? I’d be interested in a 11 to 14. So you like the INFINTIY kite……I told you this kite will blow your mind. Any way way your next kite should be the RENEGADE 13 and 11. In stronger winds you need to have at least 3 struts because with just 1 strut the canopy of the kite will start to be like a bag and make noises. So in (12 -14 mph and up) you need to have at least 3 struts on the kite instead of 1. I took it out today, by the way, with 7-9 mph of wind and switched to the freeride setting and it still rode amazing. It is indeed much faster turning than my 17 cabrinha, even the 14 switchblade. Xronia Polla kai Kali Protoxronia Dimitri! I hope the new year brings you and your family health and success!! I wanted to write to you to say thank you for the awesome attention to detail you put into the kites and all the EPIC products. I've been kitting for 2 years now. Don't get out to much cause my wife and I live about 3 hours from OBX. We are in emerald isle NC for vacation right now. I recently purchased 2 EPIC renagade kites, 9m and 11m. Dimitri these kites are EPIC! Far better the the BEST waroo I started with. I stood up about 10 times today, longest being 20 seconds, lol. But it was my first time standing up kitting and I'm stoked. Again thank you. Also please keep putting out how to videos, the self launch and land really helped me. I've attached a selfie of my session today. After 3 months of heavy winter riding I have a few things to comment on the 9m Screamer Greek Edition. First of all I love pumping up the kite. The big valve and the big new pump is a must nowdays, makes pumping up effortlessly and fast and with the pressure gauge I always know the pressure. Its always the same in every session which is important. Another big plus is the increased diameter of the struts at the trailing edge, keeps it so stable and quiet. And when I say quiet I mean silence. You hear nothing flapping, Not even in loops. And I love that!! I hate kites making flapping noises. Makes them sound cheap! What surprised me most though is the range of this kite. I start kiting from 12-13kn up to 30 easy ( no joke.) I remember you telling me about the upper range but to be honest I never thought to go out with it in over 20 kn, I always used my 7m. But once after going out in 20-25 on the 9 and being super confy I thought to give it a shot in 23-30 and man that got me by surprise! I was still very comfortable! I pulled the depower strap just a tad and everything was like in 20kn. I could jibe on waves without being jerked off and I could gain as much speed as i wanted, edge hard and ........boooooommmm to the moon!!! I made my first 20m+ jump! Unbelievable performance and so much confidence. I dont use my 7 anymore and I'm at the lightweight category at 65kg. Heavier riders are surprised to see me out on a bigger kite than theirs. Thank you for this awesome machine, made my kiting shine and gave me more confidence to push harder. Well, after 5 sessions in a row with 20-25kn on the 9m Screamer I'm ready to talk about it. Or better, scream about it!! This is by far the most complete kite out there with the jumping performance of a foil and the response and flying characteristics of a C shape kite. It just can't get any better. I'm now the highest and most impresive jumper on the beach thanks to this kite and I just can't get enough of it. Yesterday especially, the direction was perfect to boost off the lovely waves we had and oh my oh my fly me to the moon! I jump twice as much each session cause jumping is just too good on the screamer. What surprised me most is the windrange. I weigh 62 kilos and I always ride a 129 by 39 board and this kite starts to pull and jump from 12 knots up to 25 comfortably. And when I say comfortably I mean it especially up there at 25 kn. I don't even use my 7m anymore. At 25 kn I was surprised when I pulled the depower strap to trim the kite, the kite became comfortable without any backline slack. And it responded the same like it was fully powered up. Impressive, I never had a kite with this range, to be able to feel controllable and fast with the depower strap pulled all the way. IMPRESSIVE!! I had a few comments on the beach that I always go out with the same size! Love it! And its like a C shape, without the annoying 5th line! Wow! The loops are super good, a bit scary hehe! So, Dimitri, I'm very impressed and in love with the Screamer. Couldn't ask for anything else. I am not sure there is anything to make this kite better. From pumping it up to riding it and putting it back in the bag there is simply nothing to complain about!! Greaat job!!! I'm writing you after having 2 sessions on the 9m Screamer and oh my God this is the best of the best Dimitri! I'm amazed by the construction and so is anyone who looks at it and I am shocked from the performance! Jumps makes you wanna scream and the hang time is surreal. It's insane basicly and I can't get enough of it.i have a constant grin while riding it and I scream woohoo a lot lol! First session was 15-17kn and it was like a dream! Feedback and bar pressure are spot on, Kiteloops are insanely good and veeryy powerful and the kite is soo fast! The frame is unbelievably stable, rock solid in any situation I had it go through. We had some waves and i was surprised how good it is also for waveriding. Wow! For the very experienced hard riding huge boosting/looping rider this is the best weapon. Period. Second session was the surprise. 10-14 knots. There were 2 riders out on 14m one was a little girl. 2 riders (70kg) tried to go out on their 10mrs with big boards but no success. I wasn’t gonna ride but I said hey what the heck, I'm gonna give it a shot( I was sure I would be ok hehe). Others were saying no way its too light. Well..... I jump started and got up to speed in seconds lol! One tac and I was way upwind, made a jump, kiteloop and then I was like.......NO WAY!!!! I could basicly do everything with ease. And i was on the SPARTAN!! I could ride and perform many tricks with power in 10-14 knots on a 9m on my highwind board, that’s insane Dimitri! I was shocked and so was everyone on the beach. Not many on the beach today but I can't wait to see the shock everyone will have with this kite. What I loved about it most is that its completely SILENT. Even during kiteloops there is not a single sound of flapping or anything else. Wow. Bravo Dimitri. This is THE KITE. Now I'm waiting for more wind!!!! Hello again Kristy and Dimitri! Thanks for sending the Screamer 9m so quickly! I love it! I have now decided to replace my Best TS 15m LW and Airush Lithium Zero 18m with something that actually flies! Those other kites just dont perform like an Epic! Can you please send me one (1) Renegade Infinity V4 & Xtend control bar with 24m lines!Thanks! SCREAMER HAS BETTER BOOST & HANG TIME THEN ANY OTHER KITE BRANDS OUT THERE. Hello,I have well received the kites last week and I was so excited that I have managed to free my day on Saturday to drive 275km north of Paris to go kite on the North See where it was the only place in France with a bit of wind.I was lucky to get 13-15 knots with occ 17-18knots and be able to try the 12m : I was very delighted with the session. The kite has compared very nicely with my previous one (Bandit 6 of F1), especially for the jumps, hang time and predictability of its behaviour. I guess I need to get more hours of practice before I can fully use its potential and make it turn as quickly and swiftly than my ex Bandit.Thanks all to make it happen and I will keep you posted! Just to give some more feedback from my EPIC kites. Wind season starts again slowly in Doha now, and I ride yesterday and today. Since I bought my 2 EPIC kites (Screamer 10 ltd and Screamer 14), I can't stop using them ! I ride most of the time with the 10ltd. This kite is absolutely amazing, I love it !Kiters look at my kite and ask me some questions about it. I turn it so fast and I manoeuver it harsh. Of course, as soon as I can, I talk about it and say that this is THE kite to have if you like kitelooping and jump high. Quite a few kiters know you from youtube, and I tell them that this is an amazing kite. This afternoon, one of them let me try a rebel 12 (old one from 2013/2014 I guess). Wind was 15-20 kts. After using my 10ltd, I had the feeling to drive a huge truck, unable to rotate and constantly delivering power like a stupid machine. NO INTEREST. Going upwind was really harder than with the Screamer. I know why. The Screamer is right in the upper side of the window, so it pulls upwind. This rebel was pulling me hard but downwind ! OK it's stable but it's really not fun at all !! !The 10 ltd is really fun to ride. It is very versatile and fast. Going upwind is just a piece of cake. Jumps are high and you stay in the air like with a parachute. Because it's fast, you want to move it all the time and make it kitelooping as much as I can. Some riders noticed it and said that I like kitelooping. They are afraid if it with their kites. I ride the 10 ltd from 15 to 30 kts. Amazing !! !It turns so fast. dark slides, backroll kiteloop transition a piece of cake. Always power, at the right time. Also , the quality of the material of the Screamer is really good. I can feel it when I pack it up. Congrats Dimitri. You made the best kite I've ever seen.You can use this testimony online for your own convenience. July Aug Sept Oct are normally the windiest months at the moment but it is always a bit hit and miss with the breeze as I’m sure you know. Seabreeze.com.au (Cairns area) generally give us the best forecast for the wind, it would be fantastic if you guys made a visit, we would have to maybe go to Lizard Island, Archer Point and a couple of other places to try and make it more memorable for everyone. Anyway keep in touch as it is always windy at random times over here, the reef is pretty amazing to visit if there is no wind as well. On another note i have finally put my EPIC kites to rest (10 & 14 screamers) RIP they have lasted way beyond my expectations, they had been rebuilt numerous times and finally just died and the last 14m demo screamer i got off you guys the bloody ants made a nest inside the bag when i was away and ate the kite literally into bits, haha bloody wild life. The good news is I have been trying some Naish kites for a mate who has a shop and I’m sorry to tell him but EPIC is way better, your kites are faster and have way more hang time so shortly i will put in another order if you don’t mind. Apart from that life is good, and kiting is joy, hope to see you guys one day. Ciao Dimitri! Yesterday i went out with my Infinity. It has been maximum 7 knots, only for two or three minutes, and i was able to have the run. The rest was almost all "tea bag" like in your video "TRIMMING AND TESTING THE INFINITY IN EXTREMELY LIGHT WIND", but i never feared that the kite could fall in water, never! Of course, I was the only kite in the water, and also on the beach!!! You can imagine other unbelievers kiters looking .... Anyway, hope to have 2 more knots next time. Regards, P.
As a 4-time Epic kite buyer I must say your customer service has been exemplary. I have been able to reach you or a member of your team quickly and the responses have been spot on. I ordered and needed my new SCREAMER for a trip last weekend and everyone came through and I had in time. Please pass on my regards and I'm sure I will continue to remain a loyal EPIC customer. Last feedback for me regarding the 10ltd. The wind blew up to 20-23 Kts yesterday and this morning. So I went out with my new kite. First feeling in good wind is the power and versatility of the 10ltd. I LOVE IT. The 10 ltd is very powerful but also a fast turning kite. This is exactly what I wanted. I really enjoyed its manoeuvrability and power delivery. I increased significantly my jumps height. On flat water, I jumped up to 8m (got a Woo). Not really big you would say but for me this is quite a nice achievement compared to the previous sessions (5-6m). I do always a quick kiteloop at the end of the jump and the 10ltd is really nice to kiteloop. Kiters on the beach ask me questions about this kite. They are curious and they can see that I am doing some tricks with it. dark slide, backroll kitelloops, high jumps with good hangtime. Finally, I would like to thank you for all your advices. I really like this lite and I can say that now I use always the EPIC kites instead of the Best TS. Either the S14 when wind is below 15kts or the 10 ltd above. Amazing quality, amazing performance, robust kite, nice design, well I love the Screamer. Today was not the perfect day to try my new 10ltd. Wind was gusty, from 12 to 17 knots. However, I managed to give a try. My first feedback is very positive, although the wind was not ideal. Of course, very quick turning (like my TS9), and powerful, as expected. I LOVE IT. I used my large board (43cm) and it was fine. In the gusts, when wind was blowing around 18-20, amazing feeling. Compared to my TS9, more power more rough feeling. I like it very much. I could feel that whenever the wind blows around 20kts, it would deliver the proper power for amazing tricks (which I am not really able to yet...). I need to try it in stable 20kts with my smaller board. And I think it will blast me ! Well, this is the perfect kite for me from 15 to 25 kts. The S14 does a great job from 12 to 17. As soon as I have a better feedback, I will forward it to you. Just to give you a small feedback on my S14 session today. Wind was gusty, from 11 to 17 kts. I used the S14 and I really enjoyed it. Power is consistent and smooth. I can say that I didn't feel the gusts. But more amazing was the turning speed of this kite. I worked on the darkslide, so I did quite a lot of kiteloops after sliding. I use to do them on my 9 or 12m. I was a bit scared at the beginning but after the first attempt I was really surprised by the fast turning capability of the S14 ! It turned like my TS12. Useless to say that even in low wind conditions, hangtime is amazing. I used my 57cm bar with 24m lines, and my 43cm board. But I could have used my 39cm board (would have been better I think). Well, I am delighted to get the 10ltd, which I think will be a huge step up. I already booked it with a deposit. I got it, I got it, I got it ... today! That's amazing. The kite bag's quality alone makes me more than smiling. Hopefully I can test it as soon as possible. First step after receiving the package, we inflated it just here at work! So nice! Dreamful design. Everybody wanted to have the first eye on it. If it will fly as I imagine I am sure we you will hear from me shortly. Just one size can't be all! Thank you all for such good work! I used my new Renegade 13Ltd twice. I have to say that both times I was more than happy of my kite sessions. First one, it was not a very windy day between 12 to 15 knots and some gusts at 17 knots. I was always very well powered, and when the gust were blowing it was pulling like a truck! Usually, even with my 12square meter Airush I was part of people getting difficulties to kite in low wind with my 84kg. This time I was part of people enjoying hard my session. Even more impressive, the kite is really really stable, you do not have to bother with kite position, it stays up and you can do your tricks safely. Also the kite has a very powerful lift, really impressive compared to my previous kites. 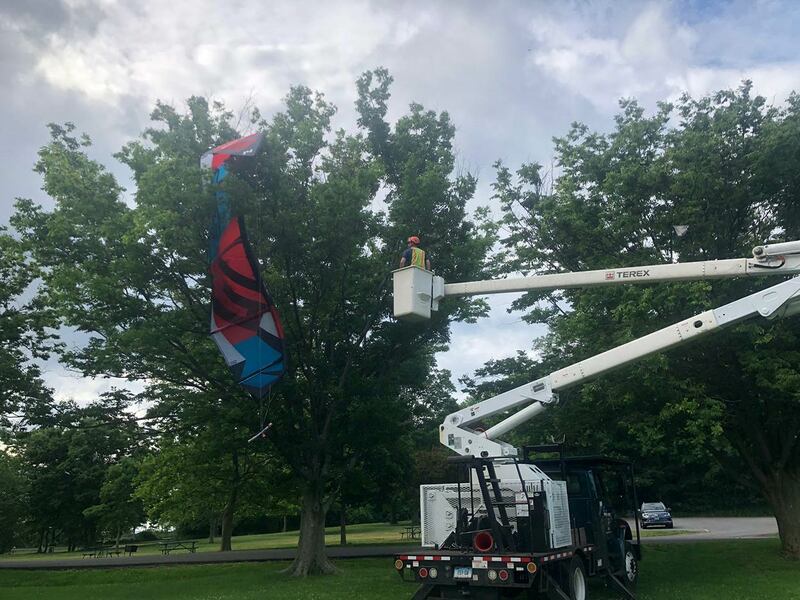 Second session was a bit more windy, and I confirmed all above points furthermore I noticed that the kite have a very good relaunching when falls in the water which makes you feel safe. So I am really happy with my new kite and feel like I will improve quickly my level. I passed back loop on my wrong side for first time during this second session as I felt really confortable. Backloop transition on my wrong side was successful on my first attempt... So cool. Only less good point is the price which is expensive, but i am almost convinced that it worths it. Honestly you made my day Dude! Dimitri, like you said I am in love with the Screamer 12. 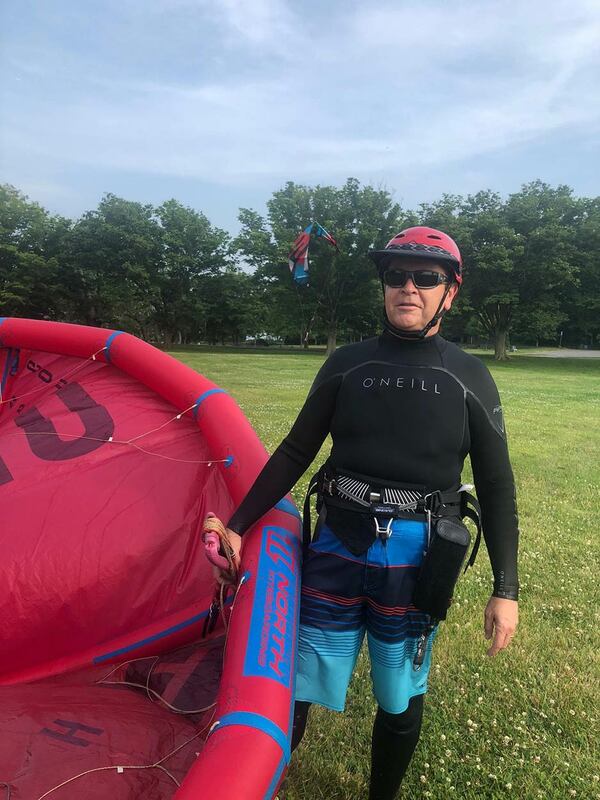 I was able to test it 3 times and I am very impressed and don't want to go back on my **** kite any more. I just can't believe it. I can do things I could not do before. The kite just keeps me floating. Now I can do 2 back rolls instead of 1. I just wanted to thanks you guys at epic again for these awesome kites. Today was 8 to 10 knots gusting maybe 14. We had the Infinity, 14 screamer, 13 LTD and an 11 renegade incase it picked up. But even in the low winds we had a blast kiting a new beach we found on the Quebec side of the Ottawa River. I tried a kite loop with the infinity lol. I kite made it around!!! But it was my first loop so I just missed the landing. All and all and awesome day. Tomorrow is blasting 12 to 18 knots. We are going again!!! Hey guys I just bought some of your stuff! And all I can say is great things! Amazing quality, I will definitely be a returning customer. By the way the 4G gear couldn't be any more awesome, stable, user-friendly for our clients, strong build, and the performance on them plus 10m Limited fits just well with my boot ridding and all other ridding. We really enjoy the power of the 10m, takes in that gust and rides it out clean. Your customer service is second to none. This is the reason everyone I talk to and help get into this sport rides epic. Awesome. By the way, the Infinity V3 is amazing. I was able to launch it and fly it in what felt to be about 4 MPH WIND!! I'm still scratching my head as to how that can be. Well just about recovered from a week out in Dakhla, I was out on my new Renegades (11,9,6.5) and can safely say I was very happy, found them so much better than my old *** ***'s. If you needed to find me I'm the one wayyy upwind crashing out as I'm at the learn to jump stage. The winds were PERFECT for a session down here in Frisco, and WHAT A KITE, yanks you up in the air like an explosion. Plenty of power and fast fast fast turns. Awesome session yesterday with ..... at the washout. Can`t wait for the next run ... wooooot! 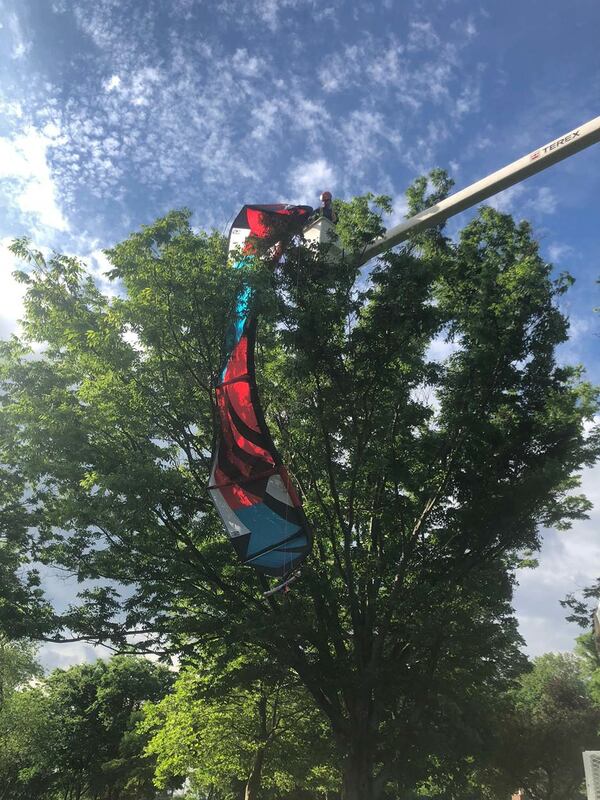 Just wanted to drop a note to thank you again for making such a great kite. I have been riding my Screamer for the last several weeks and I LOVE, LOVE, LOVE it! It is everything I expected and more, and by far the best kite I ever had. Thank you for making such a great kite and for having such a great team in customer service! Been having some epic sessions on the 10m ltd screamer and just love the drift and lift! Ps love my renegades 9 & 7m but some days I just need that screamer rush! Just bought my 9m epic screamer from Marc at blast and I have not rode any other of my kites since buying it! Everything about the kite I love! I have it in rasta colours and everywhere I go people are always saying what a beautiful kite that is! 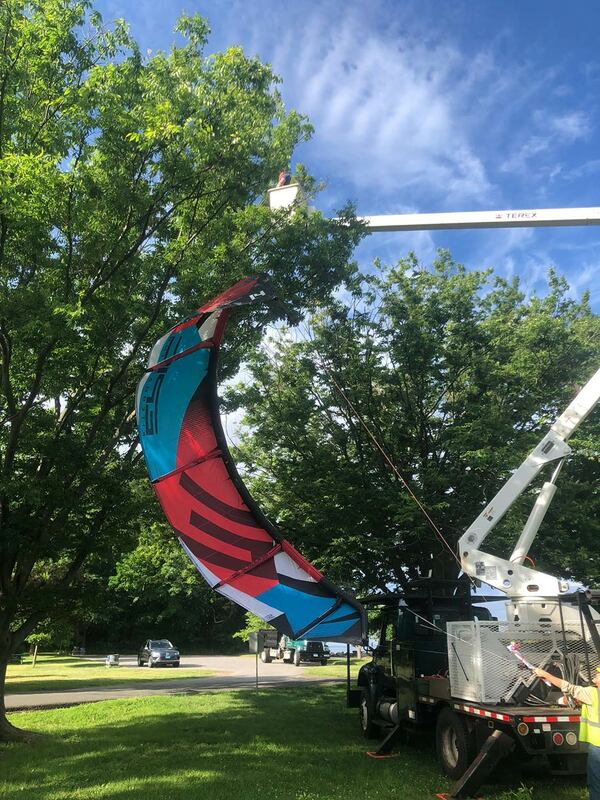 And I tell them "hey look, just try it out and you will love it"
I finally got to try the 12 screamer in albeit lighter winds (15 mph and lower) and wow what a great kite. So much fun to fly and I actually got some decent jumps in despite the lighter winds. Bar pressure was light and the kite has great lift. The Epic Tutor is EPIC. Have just return from a water session. Was able to do water re-launches in 7 knots of wind. Flying was very stable and cannot wait until tomorrow to start again. Been a new starter to kiting having only done a 2 day course this kite is perfect. As far as customer service goes, I doubt any company will ever come close to the service from Dimitri, Helen and Kristy. I honestly don't know how Dimitri does it, he answers my email usually within minutes. I had a question about how the new bar works so I can set up one of my own, he makes a video, takes measurements for me etc. I mentioned I am looking for bar parts, he offers to send me some he has kicking around his garage. Just wanted to let you know how happy I am with the Infinity v3. It has exceeded my expectations. I flew it today in low to mid teens...talk about power! I was fully lit on my 134 with the depower almost fully pulled in. Jumps were so much fun and the kite turns well. I can't believe how much fun light wind can be. So I got to fly the 4g 9m Screamer today after work today for a little and I must say I was very, VERY pleased. The kite was so responsive, had solid power and was very stable on my ***** bar. The turning speed and boosting capability of this kite is amazing. My first time flying this kite and felt so comfortable on it right away. I was a little nervous buying a kite before flying it, and I must say I have not one regret. Thank you for the amazing kite! Hi Dimitri. I just had the best session for a long time on my 7m screamer... What a kite!! The Infinity has been a miracle . By far the best low wind kite on the market and a real lesson saver for a school or instructor. Just got my screamer kite and tested it for the first time yesterday. Boy what a session! Was jumping higher and floating in the air like never before. All my buddies at the kite spot noticed and were asking about it so you might see additional requests coming you way. Here in Florida the last 30 times I went out kiting I use my infinity 28 times. That would've been 28 last times I would not have been able to kite if I did not have a infinity. I used my 11m twice. As promised, here's my first impression of the Epic Screamer 12m I received from you this week. Despite my arm injury, I couldn't miss the opportunity of going out kiting today, especially as the weather was about 24-25 degrees Celsius - 77 Fahrenheit (we don't get too many of these in England). Wind forecast was 16-25 knots, so a good range to test the Screamer 12. When I got to the spot, the wind was very gusty, with gusts and lulls when close to the shore, which meant kite was now flying ok and 10 seconds later it was dropping out of the sky like there was no wind at all. A few people in front of me had their kites drop without anything they could do. I managed to get further out without any incident and the fun began. I was using a 137/41 Cabrinha Xcaliber board. Once I got about 3-400 meters away from the shore, the wind was better, no more lulls, but still a lot of gusts, which meant I was going through moments of being fine and then being completely overpowered. For the first 15 minutes, I didn't do any jumps, as I wanted to get to grips with the kite and also afraid of injuring my arm more than it already was. Then I took some courage and went for a jump. I realised it wasn't so bad, and my arm could take the pressure. The wind grew stronger and I was going completely depowered, it was probably blowing over 25 knots out there about 1-1.5 miles from the shore. I attempted more jumps, some of them incredibly high (for me), some of them really made me scream (with pleasure), but I was still very cautious. When done right, this kite just yanks you up towards the sky like crazy, almost no travel downwind at all. I had lots of wipeouts as well, but nothing serious. Since it was moving towards low tide, the water was very shallow, even 1.5 miles away from the shore I was in knee deep water. I believe once I am fully recovered, this is going to be my number one kite for going high. Today I would have probably been a lot better with the Renegade 13, which I believe handles the big gusts much better, but I was too anxious to test the Screamer. Even just popping gave me some incredible jumps, without moving the kite at all. One thing I noticed, while up in the air, if you hit a gust, it just gives you a further lift. Scary and incredible adrenaline pumping. Going upwind was easy, I had no problem going upwind with the Screamer 12 and the Xcaliber board. I did have one problem though, and I believe it was because the lines are stretched. When at 12, the kite had a tendency to back stall, I am sure there's nothing wrong with the kite but with the lines. I have not checked the lines at all, I used the bar as I received it from you. Since it's a used bar, it's not unexpected. But it wasn't too much of a problem, I still managed to have a great session. Regarding the bar: the power/depower handles seem to be a little far for me, I find it quite difficult (could also be because of my injured arm which I can't yet extend fully) to reach the depower handle while riding if I need to depower in an emergency (such as when a strong gust makes me overpowered). Otherwise it's fine, I will check it for any stretched lines, as i believe there will be some. Once I get it fixed, it should be OK. Overall I am very happy with the kite and looking forward to using it again. I need to get more accustomed with the big heights this kite can reach :). This is my first impression from a 2 hour session today.